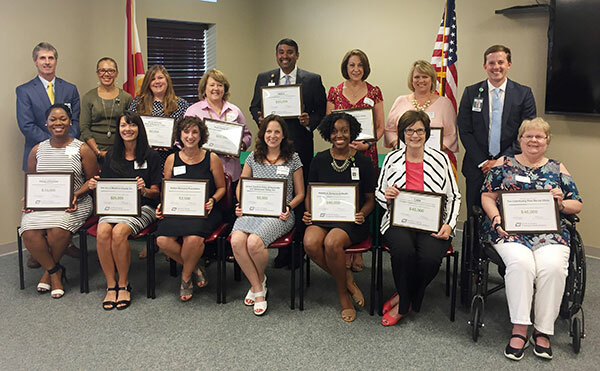 The Jean Wessel Templeton Community Health Initiative, a Huntsville Hospital outreach program that helps local non-profit organizations by awarding grants for health care programs, today presented 13 grants totaling $500,000. During the past 21 years, Community Health Initiative has awarded more than $9.8 million to 48 local non-profits in Madison County. To see a list of grant recipients click here. The purpose of Huntsville Hospital’s Community Health Initiative is to improve the health status of residents of Madison County through education, prevention and early detection of disease. Each year, the Community Health Initiative committee, comprised of volunteers appointed by the Health Care Authority of the City of Huntsville, encourages organizations with new or innovative programs to apply for funds and decides how to allocate available grant monies.